My face feels like its going to explode. hurray. this whole absessed tooth fiasco is a reminder to me that one can simply not plan for anything, or prevent anything from happening. i specifically recall visiting the dentist back in Calgary before i left, so that i would be all set and not have to worry about anything like this happening...and here i am, in agony, on antibiotics and scheduled to have a root canal procedure (oh joy, fuckkkk), in Turkey. i sometimes just feel like throwing my hands in the sky, and saying "SERIOUSLY?!!" ARE YOU KIDDING ME GOD?" but i feel like he/she's probably seen worse, so i stay silent. i tried meditating while sitting on my bed earlier, listening to the crash of the waves outside my window and breathing until i became a wave and felt no pain. is that the lesson here? to enlighten me to becoming some meditative Buddhist? is everything zen? is there a master plan here? 'Cause i aint seeing one, at the moment, and would really rather just have my normal tooth functionality and no pain. 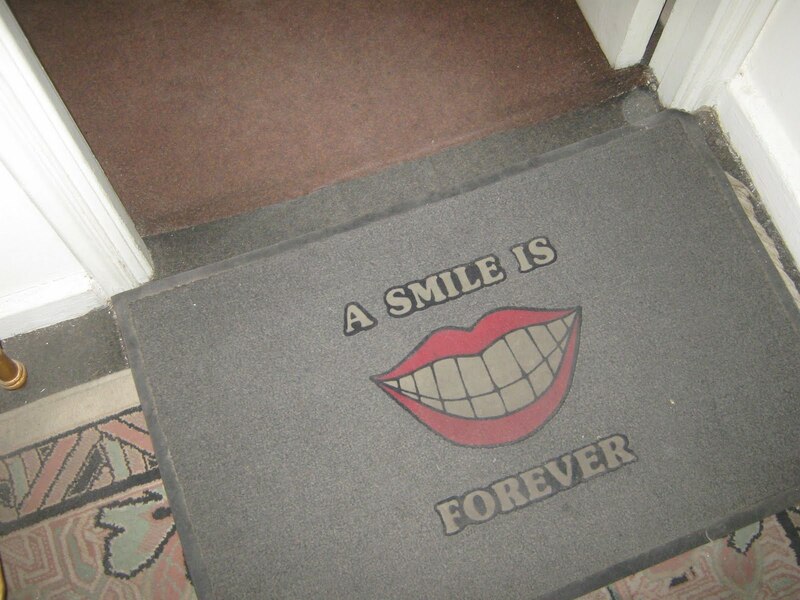 hehe I've seen those mats here in Vancouver at many a dental offices.